Louis Tomlinson Teases Music Video for New Single "Miss You"
Louis Tomlinson's latest single, “Miss You” came out December 1st and fans are anxiously awaiting his music video for the track. Louis has been posting teaser clips filmed on-set in anticipation of the video's release coming "very, very soon". 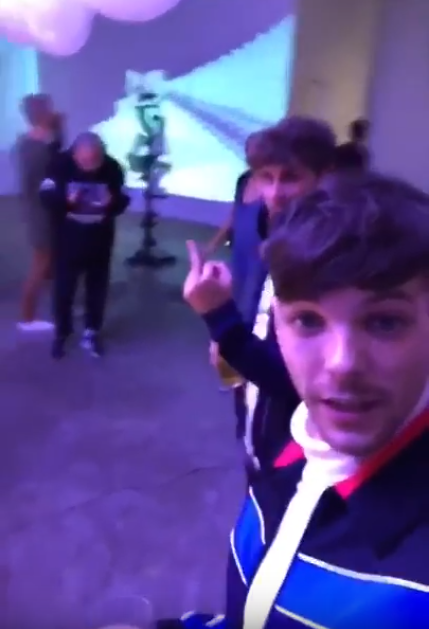 Filmed in November in Los Angeles, it seems to feature Louis in a club scene and art gallery. Backed by friends and other clubgoers, Louis can be seen "dancing on tables" just like in the song lyrics. single “irresistible pop-rock perfection” while All Punked Up said it "showcases his ability to bend across genres and succeed in almost anything he does". Although Louis has released music videos for his collaborations with Steve Aoki and Bebe Rexha, this will be his first solo video.